This section lists and describes other initiatives and organisations working for sustainable cotton. 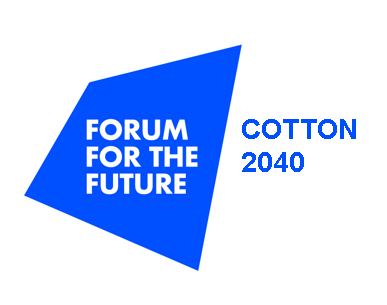 Cotton 2040 is a unique cross-industry partnership, bringing together leading international brands and retailers, cotton standards, industry initiatives and other stakeholders across the supply chain to accelerate action on and remove barriers to sustainable cotton. The FFC develops market-based solutions that combine economic value creation with environmental stewardship, social inclusion and sound ethics. The goal is nothing less than the re-design of fashion. Changes to each area creates momentum, but transformative power comes from collective action. ISEAL is the global membership association for credible sustainability standards. Its members are sustainability standards that meet its Codes of Good Practice and promote measurable change through open, rigorous and accessible certification systems. They are supported by international accreditation bodies, which are required to meet accepted international best practice. As an accelerator, OCA unites the leading brands and suppliers in organic cotton to address the key challenges facing the sector around integrity, quality, supply and impact. Together, through its shared investment in seed, farmers, traceability and other market-driven interventions, OCA aims to create a viable and scalable organic cotton sector that benefits everyone—from farmer to consumer. The Organic Cotton Round Table (OCRT) is a global stakeholder platform that supports and brings together the organic cotton community to be inspired, mobilised and equipped to act. Working together, the partnership members of Textil-Bundnis want to achieve social, ecological and economic improvements along the entire textile supply chain. The Sustainable Apparel Coalition is the apparel, footwear, and textile industry’s leading alliance for sustainable production. The Coalition develops the Higg Index, a set of standardized supply chain measurement tools for all industry participants. The SAC’s vision is of an apparel, footwear, and textiles industry that produces no unnecessary environmental harm and has a positive impact on the people and communities associated with its activities. The 2025 Sustainable Cotton Challenge asks retailers and brands to champion an increased use of sustainable cotton. Those participating will aim for 100% of their cotton to come from the most sustainable sources. This is a certification for U.S. cotton growers who are committed to the principles and practices of sustainability. E3 cotton is certified, verified and audited. BCI is a not-for-profit organisation that stewards the global standards for Better Cotton, and brings together cotton’s complex supply chain, from farmers to retailers. Cotton made in Africa (CmiA) is an initiative of the Aid by Trade Foundation (AbTF) that helps people help themselves through trade. It improves the social, economic and ecological living conditions of smallholder cotton farmers and their families in Sub-Saharan Africa. Fairtrade is a movement for change that works directly with businesses, consumers and campaigners to make trade deliver for farmers and workers. ‘myBMP’ is a voluntary farm and environmental management system which provides self-assessment mechanisms, practical tools and auditing processes to ensure that Australian cotton is produced according to best practice. The Pre-Organic Cotton (POC) programme is an initiative between kurkku and Itochu Textile Company. It supports cotton farmers in India to make the transition to organic farming, while also providing supply chain solutions to brands and retailers. Created in 1979, this NGO – Action Against Hunger – is fighting against hunger in the world. Its mission is to save lives by eradicating hunger through the prevention, detection, and treatment of malnutrition, in particular during and after emergency situations caused by conflicts and natural disasters. 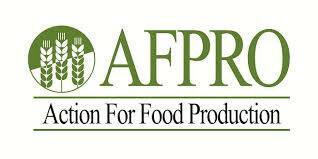 AFPRO is a secular socio-technical development organisation with Christian inspiration. It works to enable the rural poor to move towards sustainable development through an overall increase in their knowledge and skills in areas that directly affect their standard and quality of life. ASA is a non-profit development organisation founded in 1996 by a group of development professionals with considerable collective experience of working with the tribal people in the central part of India in participatory natural resources development. ASA has emerged as a lead organisation in the sector of farm-based livelihood for poor and natural resource management. ASA is a past BCI implementer and current organic cotton implementer in India. The Aga Khan Rural Support Programme (AKRSP) is a private, non-profit company, established by the Aga Khan Foundation in 1982 to improve the quality of life of the people of Gilgit Baltistan and Chitral (GBC). The overall goal of the organisation is to improve the socio-economic conditions of the people of northern Pakistan. Implements BCI and organic in India. “Bio Service” Public Foundation was founded with the support of the Development of Production and Trade Promotion Project, Organic Cotton (BioCotton). Their mission is to provide competitive, quality services and organic certification standards, training and consulting in order to preserve the environment and improve the lives of the rural population in Kyrgyztan. 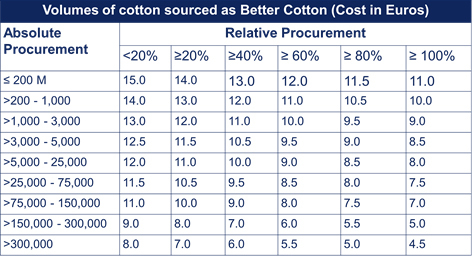 bioRe cotton is organic cotton coming from the bioRe Project, currently functioning in India and Tanzania. The bioRe Project is known globally as a leading large-scale visionary project and has received many international awards for its achievements. Established in 1974, the Malian Company for the Development of Textiles (CMDT) is a joint stock company of mixed economy, in charge of managing the cotton production sector of Mali. Established in 2004, Chetna Organic supports more than 15,000 farmers, helping them increase the sustainability and profitability of their farming systems. Chetna Organic Agriculture Producer Company Ltd (COAPCL) is a part of Project Chetna, a development initiative aimed at improving the lives of smallholder and marginalised cotton farmers in different rain-fed cotton growing regions in India. CottonConnect works throughout the cotton supply chain, from brands and retailers to cotton farmers, to make cotton more sustainable. They do this by connecting brands and retailers to farmers to create a transparent supply chain, training farmers in agro-economic practices, and supporting the enhancement of farmer livelihoods and strong farming communities. Fairtrade does not work with Implementation Partners but has its own Producer Networks in Africa, Asia, Latin America and the Caribbean. These are Fairtrade Africa, NAPP (for Asian & Pacific Producers) and CLAC (for Latin American and Caribbean Producers and Workers). GIZ is a German development agency. As a provider of international cooperation services for sustainable development and international education work, we are dedicated to building a future worth living around the world. GIZ has over 50 years of experience in a wide variety of areas, including economic development and employment, energy and the environment, peace and security. GIZ is an implementation partner in Tanzania. Helvetas is an independent Swiss development organisation that is building capacity in about thirty countries in Africa, Asia, Latin America and Eastern Europe. Helvetas run programmes in Burkina Faso, Kyrgystan and Mali introducing organic and Fairtrade cotton. Ivory Cotton’s mission is to promote the development of farms to guarantee the supply of our factories, to transform the seed cotton, to market the semi-finished products and thus to contribute to the improvement of the standard of living of the rural communities in Ivory Coast. The Society Algodoeira of Niassa JFS, SAN works in partnership with more than 40,000 producers and implements BCI in Mozambique. Lok Sanjh is a non-profit, non-governmental organisation working with the rural communities, particularly with women farmers, in Pakistan. The Lok Sanjh Foundation promotes strategies for socially and environmentally sound agriculture through focused research, policy advice and advocacy. It promotes networking and links with a wide range of institutions and individuals through seminars, workshops and exchange visits. NWK Agri-Services is Zambia’s leading provider of agricultural services supplying the industry with competitive and innovative equipment, agronomic advice and financial solutions for the farmers, and the best market exposure for the commodities. OLAM operates three cotton concessions in the North and Central regions of Mozambique, increasing productivity yields through innovative Cotton Extension Services to improve the lives of rural farmers in these regions. By actively supporting 40,000 farmers, OLAM ensures farmers receive agricultural inputs, financing and a ready market for their produce. 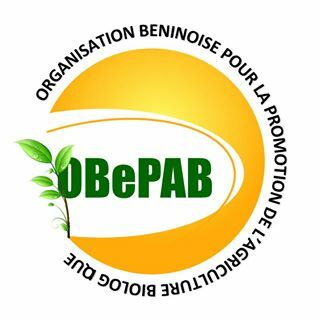 OBEPAB works for sustainable development with a focus on enhancing local resources in Benin and developing sustainable agricultural production systems, preserving the health of producers and consumers, and safeguarding the environment. Pratibha Syntex is a vertically integrated sustainability–orientated manufacturer of knitted textile products. Driven by a strong progressive vision, Pratibha is committed to creating relationships across the value chain, bringing together over 30,000 farmers, 10,000 employees and renowned global apparel brands from over 20 countries. Implements BCI, Fairtrade and organic in India. Rare is an international conservation organisation whose stated mission is to help communities adopt sustainable behaviours toward their natural environment and resources. It works on cotton in China. Over the years, SANAM has emerged as one of the largest and most dependable suppliers of good quality staple cotton from Mozambique to international buyers. 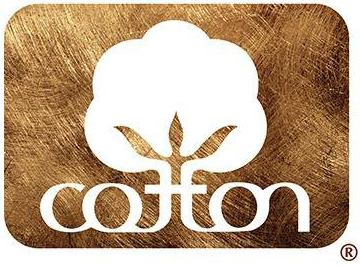 The Cotton Development Corporation (Sodecoton) is a Cameroonian state enterprise created in 1974 to manage the cotton sector. Its mission is to organise the production and marketing of cotton throughout the territory. It owns several production sites throughout Cameroon. The Burkina Faso Textile Fibers Company (Sofitex) is a mixed economy company, initially public and then privatised, created in 1974. Their mission is the development of the cotton agro-industry in Burkina Faso. The Solidaridad Network is an international civil society organisation founded in 1969. Its main objective is facilitating the development of socially responsible, ecologically sound and profitable supply chains. Solidaridad implements BCI and organic cotton programmes in multiple geographies including Brazil and India. 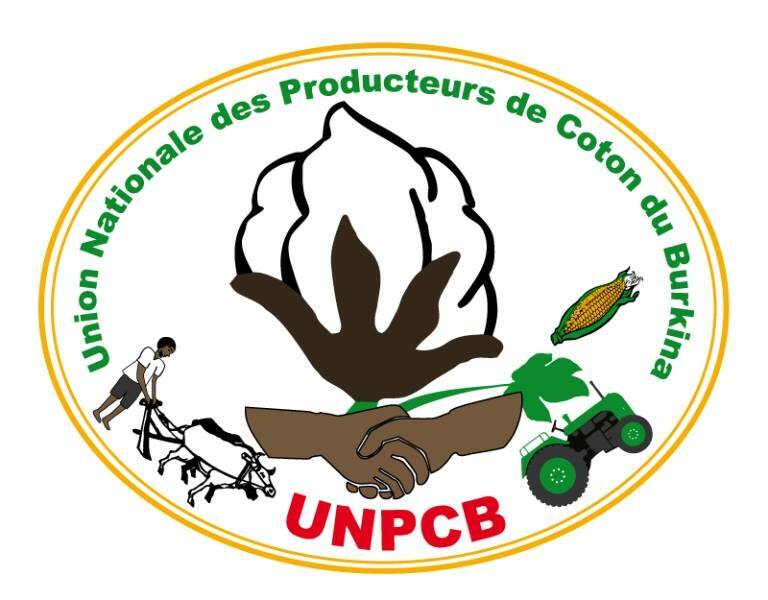 UNPCB is the national umbrella organisation of cotton producers in Burkina Faso. Its vision is for producers of professional cotton in Burkina Faso to have improved food security and a higher income through efficient, sustainable, secure and resilient production systems. By grouping within a union of cooperative societies, they are able to defend their interests in level and at the national, regional and international levels. WWF is the world’s leading independent conservation organisation, determined to ensure that people and nature can thrive together, for generations to come. The C&A Foundation is a corporate foundation, which exists to transform the fashion industry. Through financial support, sharing expertise and providing access to a network of specialists, they strengthen platforms, NGOs and other changemakers to help make the fashion industry work better for every person it touches. FiBL is an independent, non-profit, research institute which aims to advance cutting-edge science in the field of organic agriculture. FiBL’s research team works together with farmers to develop innovative and cost-effective solutions to boost agricultural productivity while never losing sight of environmental, health and socio-economic impacts. Forum for the Future is an international non-profit working with business, government and civil society to solve complex sustainability challenges. The International Cotton Advisory Committee is an association of governments of cotton producing, consuming and trading countries, which acts as the international commodity body for cotton and cotton textiles. Pesticide Action Network (PAN) North America works to create a just, thriving food system. PAN believes that – for too long – pesticide and biotech corporations have dictated how we grow food, placing the health and economic burdens of pesticide use on farmers, farmworkers and rural communities. PAN works with those on the frontlines to tackle the pesticide problem — and reclaim the future of food and farming. The Soil Association supports certified organic cotton and the proven benefits it delivers for people and the environment. When it comes to making sustainability claims you can trust, certified organic cotton is hard to beat. Textile Exchange is a global non-profit organisation that focuses on minimising the harmful impacts of the global textile industry and maximising its positive effects. The Brazilian Association of Cotton Producers, known as ABRAPA, is an entity that brings together cotton producers in Brazil. Cotton Australia is a not-for-profit grower representative body, working with farmers to implement the Australian cotton industry’s myBMP program, direct sustainability R&D investments, and reach whole of industry sustainability targets. 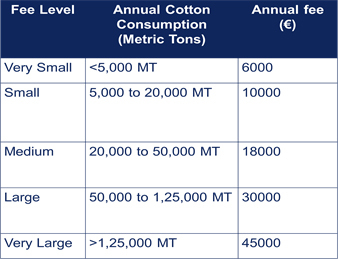 Cotton Incorporated aims to increase the demand for and profitability of cotton through research and promotion and to ensure that cotton remains the first choice among consumers in apparel and home products. ICF, Indian Cotton Federation formerly known as SICA (The South India Cotton Association) is a premier organisation representing the textile industry, cotton brokers and cotton growers of India. Founded in 2008, Proudly Made in Africa is a UK and Ireland based non-profit organisation that builds sustainable channels to market for African products. Centre for Sustainable Fashion is a Research Centre of the University of the Arts London based at London College of Fashion. Its work explores vital elements of Better Lives, London College of Fashion’s commitment to using fashion to drive change, build a sustainable future and improve the way we live. The Cotton LEADS™ program connects textile manufacturers, brands and retailers with a variety of ways to advance sustainable cotton production.